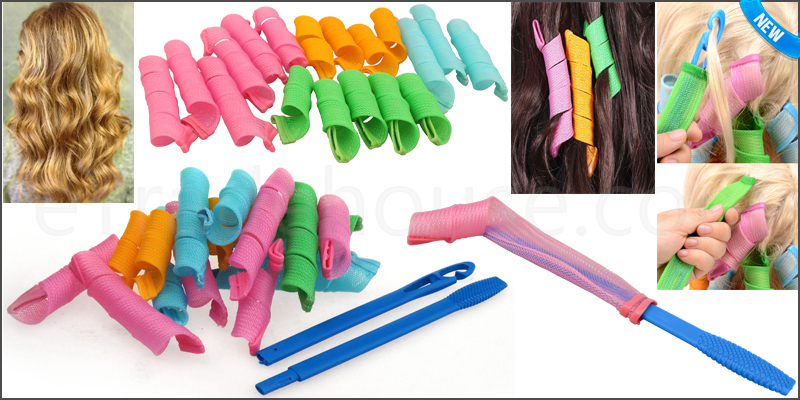 These rollers and curlers will give your hair lift, curls and waves easily creating a unique fashionable style. Control the hair at 60%-70% of humidity of the zone. Make stick according to the shape that you want. Count the stick with circle that you want. Select the stick flow direction of veins. Select the stick according to the different flowered shape size. Wash and clean the hair. Dry the hair with towel after then fix the shape 8-15mins. Remove the stick, washing hair and styling hair.